TVXQ! 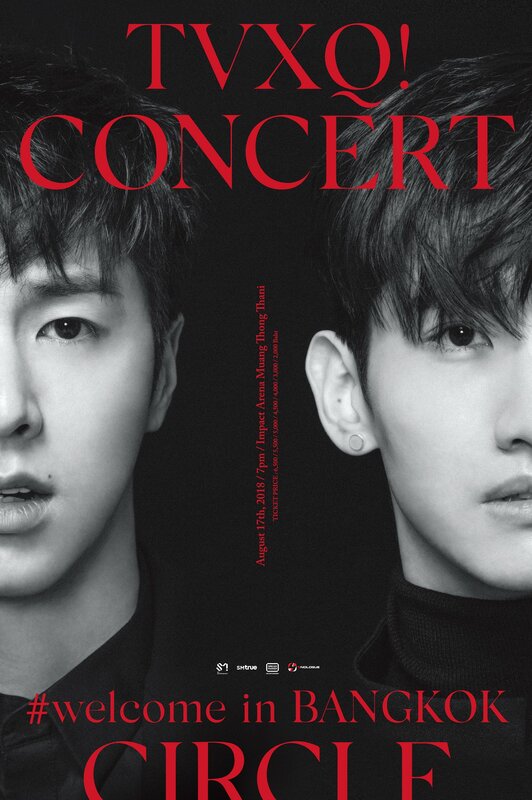 CONCERT – CIRCLE – #welcome was the sixth international concert tour of TVXQ!. The tour was organized to support the band’s sixth studio album, New Chapter #1: The Chance of Love and was their first headlining tour after the band members completed their South Korea’s military service. 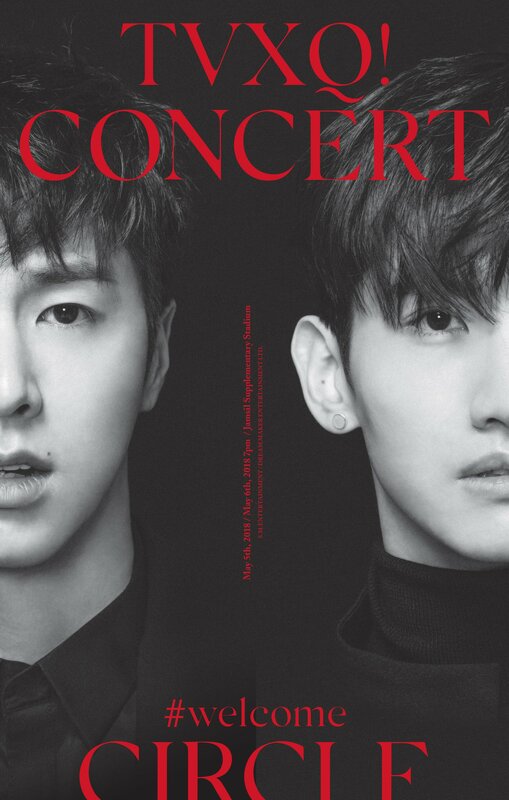 The concert tour was set three years after the TVXQ! SPECIAL LIVE TOUR -T1ST0RY- and commenced with two shows in Seoul in May 2018. The concert title “Circle” signifies the path TVXQ! had taken to stand before their fans to return to where they were after completing their military service. The theme of the live tour was a welcoming party taking place at a luxurious mansion and every set piece, lighting selections, costumes, moving stages and fireworks displays were set up to stimulate the show. The concert concept was very much influenced by Leonardo DiCaprio’s The Great Gatsby. The concerts in Seoul were first announced March 27, 2018 by S.M. Entertainment, just one day before the release of New Chapter #1: The Chance of Love album. YES24 was the ticketing agency for the shows in Seoul and the sales took place on April 4, 2018. The concert organizer for the Hong Kong show, G Music, announced the show’s concert date on May 30, 2018. The Hong Kong concert was held five years and six months after the Catch Me tour in January 2013. Bangkok was added in the tour’s itinerary and was revealed by local concert organizer, 4NOLOGUE, on July 13, 2018. TVXQ! performing “왜(Keep Your Head Down)” in Seoul. Photo: S.M. Entertainment. For two days starting on August 22, 2017, TVXQ! held their TVXQ! ASIA PRESS TOUR to announce their restart of activities after two years of hiatus, starting with Seoul and Tokyo on the first day before continuing onto Hong Kong on the second. 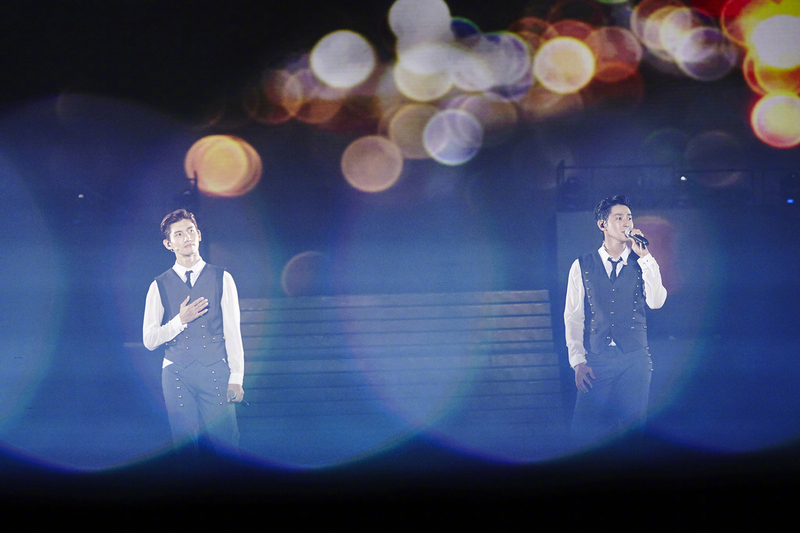 The band held a special concert TVXQ! Special Comeback Live ‘YouR PresenT’ where they united with their fans in Seoul from September 30 to October 1, 2017 and in Macau on October 15, 2017. 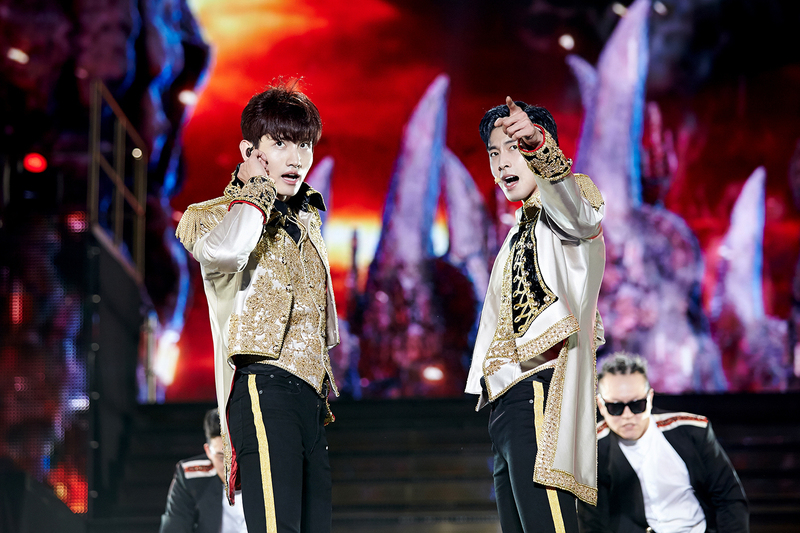 The duo then hosted a special reunion party dubbed the TVXQ! Welcome Back Party: The Chance of Love on March 28, 2018 in Seoul Blue Square I’Market Hall in commemoration with the release of the New Chapter #1: The Chance of Love album. At the party, TVXQ! showcased their title song “The Chance of Love” for the very first time. TVXQ! performed songs from their latest New Chapter #1: The Chance of Love album, along with some of their biggest hits including rearranged versions of “The Way U Are”, “Rising Sun”, “주문(MIROTIC)”, “왜? (Keep Your Head Down)” and “수리수리(Spellbound)”. The show lasted for about three hours. 28 songs were performed in each show. For the solo performances, Shim performed “Closer” from the New Chapter #1: The Chance of Love album while Jung did “퍼즐(Puzzle)”. The setlist also included their classical tracks from their past studio albums including “믿어요”, “Hug”, “풍선(Balloons)” and “Hi Ya Ya 여름날”. The first monochrome teaser concert poster was released on March 27, 2018 alongside the announcement of the shows in Seoul while the official poster was unveiled on April 21, 2018. CIRCLE #welcome’s first press conference was held in Jamsil Supplementary Stadium on May 5, 2018 before the start of the show. The 20-minute press conference in Hong Kong was broadcast live on July 7, 2018 before the start of the show. The Seoul live concert is being screened at SMTOWN@coexartium which runs starting from September 21, 2018, presented with a surround viewing technology, which allows three-screen viewing experience enveloping the audience. The September 21 premiere of the surround viewing show was presented with free concert light sticks exclusively for the audience. TVXQ! performing “믿어요” in Hong Kong. Photo: S.M. Entertainment. On the first day of the concert in Seoul, labelmates BoA, SHINee and NCT, Jung’s former military bandmates from the 26th division, Jung’s Meloholic TV series cast members, and both families of TVXQ! members were seen at the venue to catch the show. S.M. Entertainment management’s Lee Soo Man, Kim Young Min and Nam So Young, labelmates Girls’ Generation, Super Junior and Red Velvet, SS501’s Heo Young Saeng, boyband ROMEO, Lee Seung Gi and Beige attended the second show. In Hong Kong, local media attended that day’s press conference prior to the concert including the largest broadcasting stations TVB and VIU TV, daily newspapers Apple Daily, Oriental Daily News and Ming Pao, and online media 香港01(HK01), OK POP and CHEER POP’. ● Somebody To Love_Korean Ver. “꿈(Dream)” was removed from the set list in Hong Kong. Even though not part of the official concert goods, S.M. Culture & Contents Global Package presented exclusive limited edition souvenirs for its premium package holders in Seoul. These include two variant TVXQ! concert posters, a message card by TVXQ!, a magnet board and stand, two sticker sets, a stationary set containing 12-piece colored pencils, a ballpoint pen and a memo pad, a lunch bag and a lanyard. The list of official goods for the Seoul concert was revealed on April 27, 2018 through TVXQ!’s official website. The sales of the merchandise on the first and second day concert in Seoul began at 10:00AM and ended at 6:00PM Korean local time. All merchandise were showcased and contained in a large display box outside the stadium. This table is representative of the sales in Hong Kong and Bangkok. This page was last modified on September 23, 2018.